Thank you for visiting the guide to growing garden plants and flowers. I am afraid that this section is no longer relevant, as the content is in the process of being moved to gardenershq.com. The gardening advice section of the web site offers tips and resources for everyone who loves to grow plants in the garden. In addition to the advice on gardening it includes pictures and facts on common plants grown in gardens and information on plants that you may see whilst wandering a field; such as Sunflowers, Rice and Maize. The plants are organized by common name and can be navigated using the list of plant names menu. Alternatively once on a 'how to grow plants' species page plants can be navigated from the left hand menu bar by both the common name and by the scientific name list. 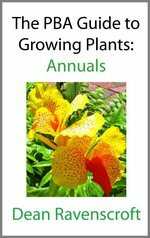 The Gardening advice growing plants section includes information on how to grow over 500 types of common garden plants. You can learn to grow professional looking flowers such as lilies. Many of these 'how to grow' guides carry additional facts such as how the plants can be harvested for use in the kitchen and pictures of the plants when available. Hopefully this will address many of your plants growing needs. The growing plants section also includes a range of plant pictures from Sweet William pictures, through to those of Parsley, Orchids, Chervil and Fuchsia. 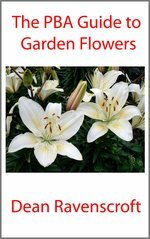 Recommended pages include lily of the valley flowers and petunia flower. As the plants are discussed based on their genus you may also like to check out my new gardenershq website for specific information on many garden plants. Tips are also given on harvesting and using culinary plants and herbs such as: Rosemary plant, harvesting oregano; safflower oil and planting sunflower seed. There are lots of reasons to grow your own plants directly from seed; it is very often the case that if you go to a garden centre that the exact plant you want is not available; or perhaps more important is the joy that you get from watching a plant come to life as you grow it from a seed. Some of the featured pages include planting grass seed. This section will also give information on how to do this and pictures of the garden flowers and foliage once I have them. If you decide to grow some of the plants featured and have some good pictures of the plant growing in your garden be sure to send me a copy as I would love to feature your pictures on the site. I hope that the tips within the gardening advice section prove of great use to our visitors, but do keep in mind that I am not going to put a guide of how to grow Arabidopsis, as I am sick of the site of them! Actually, just imbide the seeds in the fridge for 4 days, sprinkle on the soil surface, and as long as you are growing them in long days they should flower within 6 weeks (well the long day lab varieties anyway).